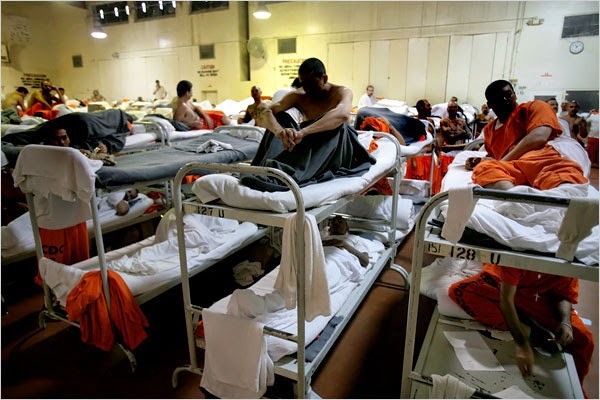 The United States prison-industrial complex today incarcerates at five times the world's average. The United States has 5% of the world's population and 25% of the world's prisoners - over 2.3 million human beings behind bars. Only some of them are actually guilty of something or another. In these times, the Unites States' habit of mass incarceration has very little to do with justice or corrections in any form. Instead, it is a tremendously lucrative multifaceted business, veiled from the outside world and its own population by the layers of secrecy and brazen hypocrisy. Conrad Black, the former media baron, member of the House of Lords, and U.S. Federal Bureau of Prisons inmate #18330-424, wrote: "The American justice system has become a gigantic legal cartel where there are too many laws and the legal profession is a terrible taxation on the country... The criminal justice system has become a prosecutocracy where more than 90 percent of indictments are successful. The country has become a carceral state detaining an obscene number of its own citizens, and a vastly disproportionate number of the world's prisoners, often in conditions that are shocking..."
Adam Gopnick wrote in New Yorker magazine: "Mass incarceration on a scale almost unexampled in human history is a fundamental fact of [United States] today - perhaps the fundamental fact, as slavery was the fundamental fact of 1850. 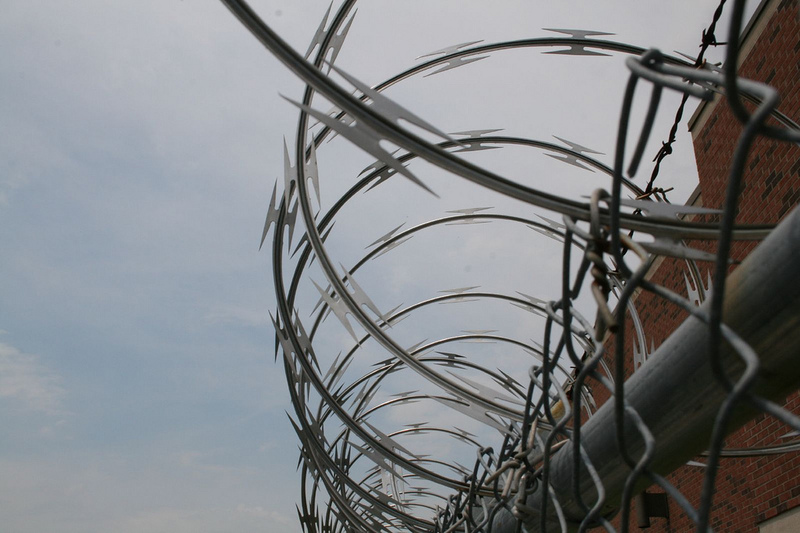 Over all, there are now more people under "correctional supervision" in America – more than six million – than were in the GULAG Archipelago under Stalin at its height. ... 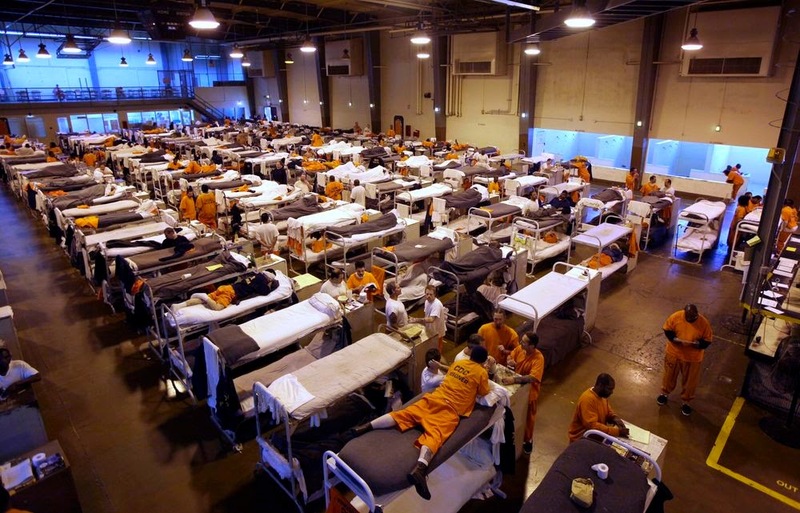 The scale and the brutality of [United States] prisons are the moral scandal of American life. ... Conrad Black, at the high end, has a scary and persuasive picture of how his counsel, the judge, and the prosecutors are merrily congratulated each other on their combined professional excellence just before sending him off to the hoosegow for several years. If a millionaire feels that way, imagine how the ordinary culprit must feel." 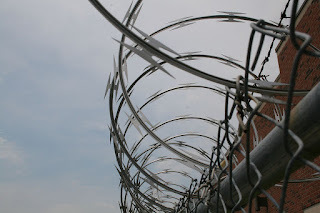 U.S.A. is covered by network of jails & prisons: federal, states, county, military, immigration. "Americans have long know that the government has been running secretive immigration prisons into which detainees have frequently disappeared, their grave illnesses and injuries untreated, their fates undisclosed until well after early and unnecessary deaths. What we do not know... was how strenuously the government has tried to cover up those failings - keeping relatives and lawyers in the dark, deflecting blame, fighting rigorous quality standards, outside oversight and transparency. These deficiencies endure today. It took digging by The Times and the American Civil Liberties Union to unearth the evidence. A detainee with a broken leg killed himself; his pain had been unbearable but never treated, and someone later faked a medication log to show that he had been given Mortin. A spokesman for Immigration and Customs Enforcement told a reporter asking after a mortally injured African detainee that nothing could be learned, even though the spokesman and top managers already knew the man had fallen, fractured his skull, lain untreated for more than 13 hours, was comatose and dying. The officials fretted by phone over hot to avoid unflattering publicity." "There is absolutely no evidence to support the statement that we’re (USA) the greatest country in the world. We re 7th in literacy, 27th in math, 22nd in science, 49th in life expectancy, 178th in infant mortality, third in median household income, number four in labor force and number four in exports. We lead the world in only three categories. Number of incarcerated citizens per capita, number of adults who believe angels are real and defense spending where we spend more than the next 26 countries combined 25 of whom are allies." "The United States has less than 5 percent of the world's population. But it has almost a quarter of the world's prisoners. The only other major industrialized nation that even comes close is Russia, with 627 prisoners for every 100,000 people. The others have much lower rates. England's rate is 151; Germany's is 88; and and Japan's is 63." "Far from serving as a model for the world, contemporary America is viewed with horror,' James Whitman, a specialist in comparative law at Yale, wrote last year in Social Research. "Certainly there are no European governments sending delegations to learn from us about how to manage prisons." I spent years in these prisons. Before I was put in prison for crimes invented by this government and its informants, I never imagined in my wildest dreams that this justice system is so vicious, unforgiving, evil, and heartless. And I've learned that it has nothing to do with justice or crime and punishment. It violates human rights using cowardly tactics against those who are vulnerable. I thought this justice system was about Justice and fairness. But I experienced only injustice and abuse. I am traumatized by my experience and those of others that I've come across. As an immigrant, I loved this country until I realized that I and everyone else are disposable. Soldiers, politicians, and other members of the general population. We mean nothing. There is no respect for human life. I'm one of the ex US federal prisoners who fully got a taste of the "fairness" of this "justice". The system works like this: they with their paid confidential informants roam around seeking who they may devour. Upon finding a target, they indict you on half trumped up exaggerated or totally bogus charges. They slap you with a hundred counts, after which they rob you of all your possessions while high-fiving each other. They destroy any ability for you to hire an adequate defense. Then following such a tasteless platter of oeuvre they follow through with a main course of extortion in which under stress, duress and coercion you sign a plea agreement, but not before they obstructed justice by tampering with witnesses, evidences, and committed so much perjury as if they got a bonus of a $10.000 for every lie.